The redesign and full buildout for a new co-working business were created in a landmarked building one block south of Central Park. 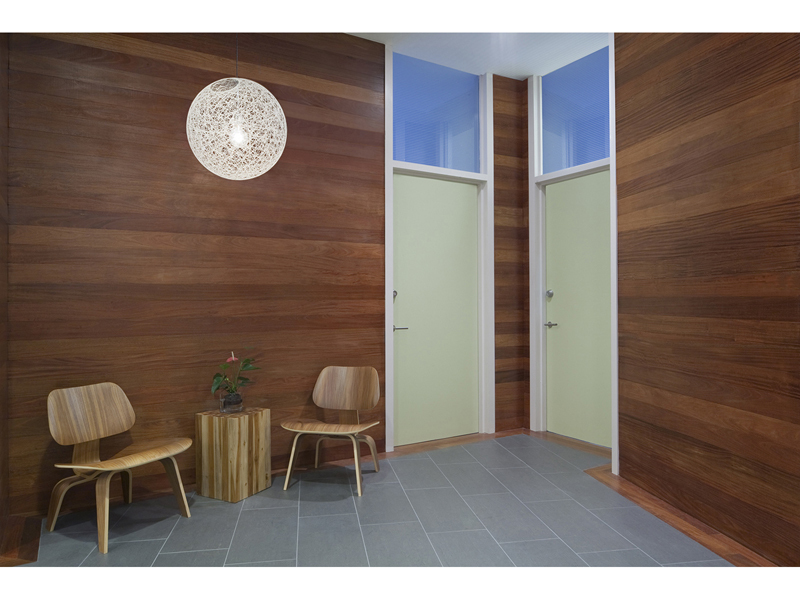 Upon entry, the L-shaped space was a long, dreary, maze-like corridor bound by offices on each side. The entire office layout was repositioned. 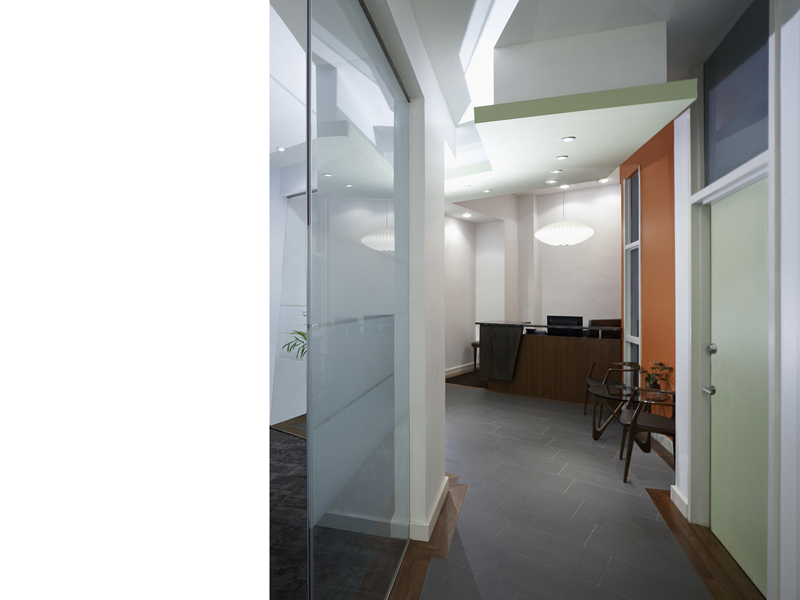 A reception area was placed at the entry, adjacent to a glass-enclosed conference room. 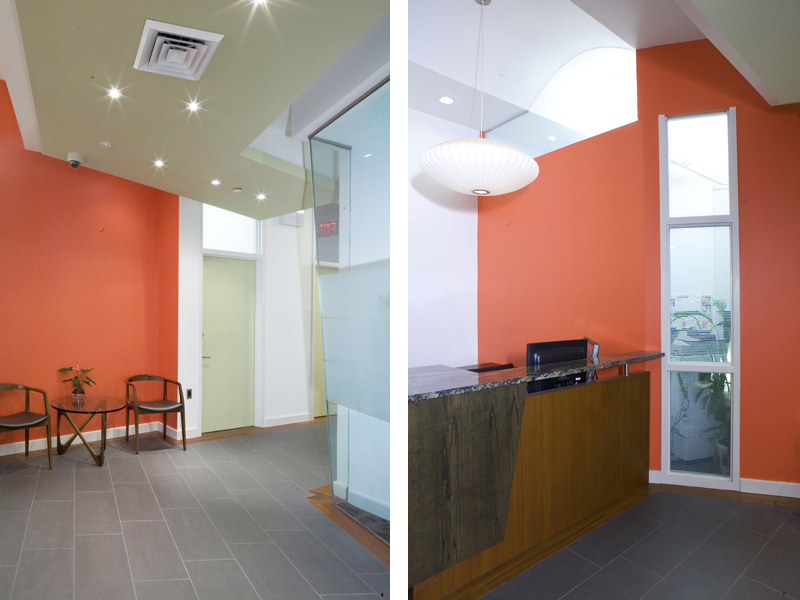 Additional smaller support offices were constructed along the walls of the interior core, while the existing office spaces were renovated; both receiving new finishes and furniture. 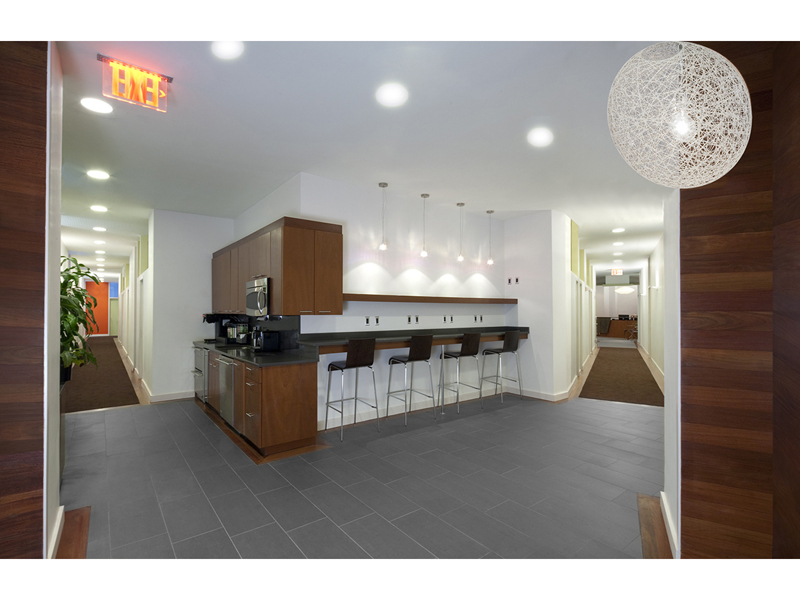 An employee café was installed at the junction of the hallways, introducing functionality and community into the workspace. 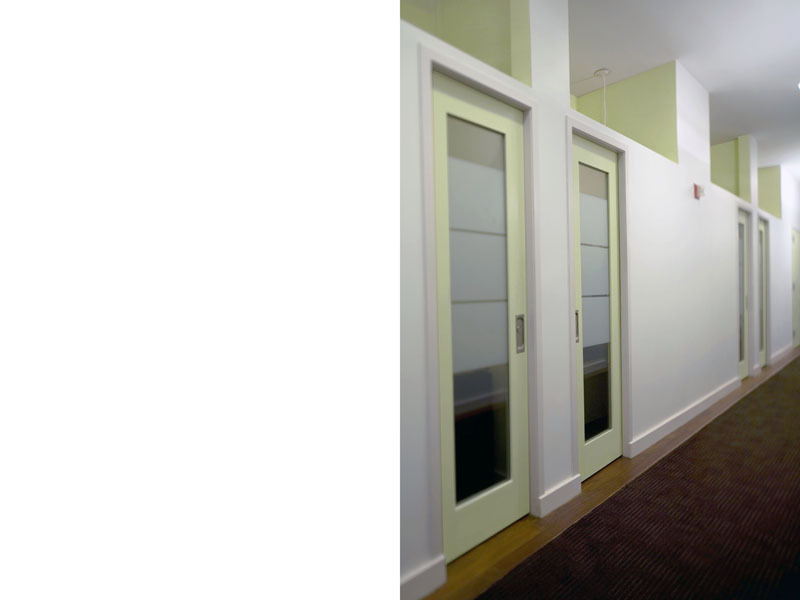 Glass transoms were installed over office doors to infuse natural light throughout the hallway. 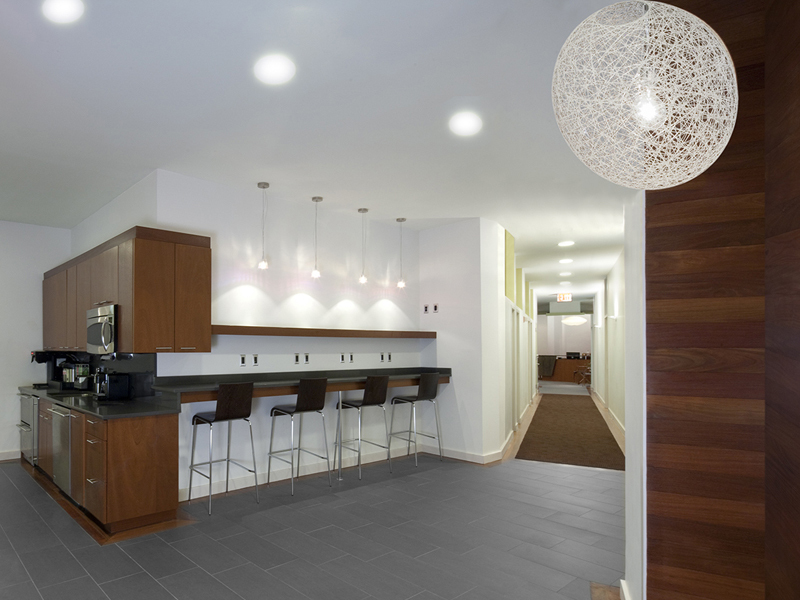 Warm finishes of wood, slate, and accent colors enhance the common area. 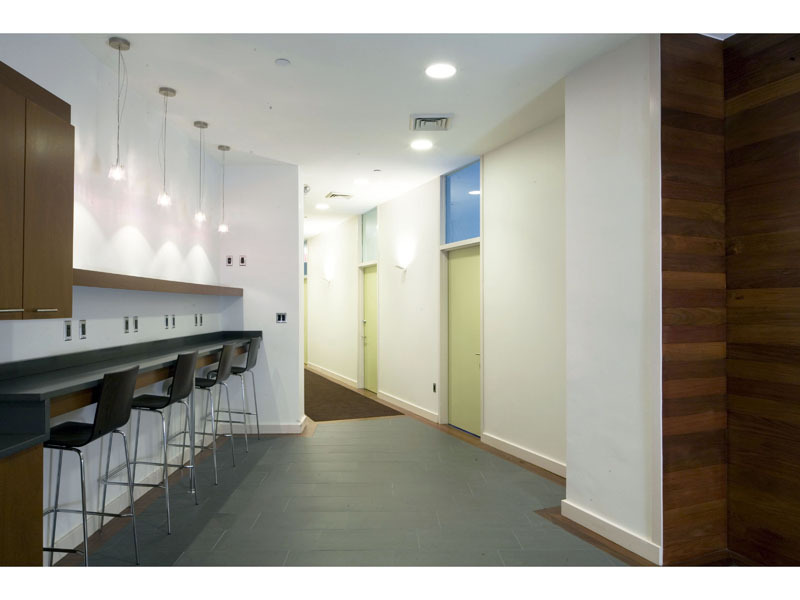 Reorganizing the floorplan to incorporate reception and common areas, as well as private office space created one large multi-purpose space.